If you’re in the midst of a kitchen remodeling project, you likely have many decisions to make. From cabinets to flooring, the elements that you select all work together to bring your vision to life. The countertop material you choose plays an especially significant role in lending your culinary space character and depth. Here are a few options to keep in mind. Quartz is a popular man-made option for kitchen remodeling projects because of its strength. The material is especially hard, and because it’s made primarily with minerals, it stands up well to heat and force. The non-porous surface won’t corrode with age and is unlikely to stain if exposed to oil or liquid. Exert caution with heated objects, however; the material may become discolored if it is exposed to warmth or sunlight for extended periods. Always use a padded trivet. Solid and elegant, granite is available in a wide range of colors. The natural stone is popular for its unique style—no two slabs are the same—and for its strength and durability. However, it is porous and requires annual sealing to maintain its shiny appearance and prevent surface stains. Thanks to its hardness and durability, it can stand up to general wear and tear. It’s resistant to scratches, and even if you place a hot pan on the surface, it won’t get damaged. Less common than granite or quartz because of its higher price, marble is an elegant option that homeowners often choose if they want an upscale kitchen remodeling design. The natural stone is highly durable and won’t scratch or break. It also resists heat well, making it especially popular for bakers. Also, because marble isn’t as popular as the first two materials, it can help your kitchen stand out. When you’re ready to begin a kitchen remodeling project, contact Valley Design Center in Manhattan’s Midtown East neighborhood. 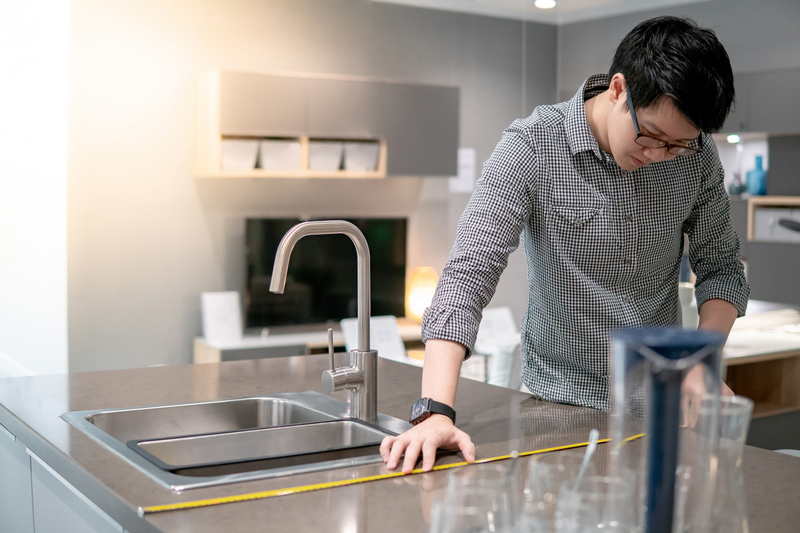 As proud authorized dealers of both Kraftmaid® and Toto® brands, the company understands the importance of using only the highest quality products for your kitchen remodeling project. They offer a wide range of countertop materials, along with attractive cabinet and flooring options to complete the look you want. Visit them online or call (212) 832-4200 to learn more about their services.